Poly Roper Rein, 5/8" x 8' | Florida Farm & Feed, Inc. 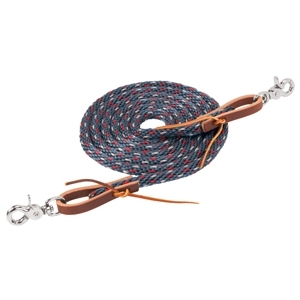 This quality roper rein features sunset harness leather water loops at both ends with alum tanned leather laces and nickel plated scissor snaps. You'll appreciate the great feel this rein has in your hands. Measures 5/8" x 8'. Also available in Brown & Black.